People from across Devon joined thousands of others from all over the South West, for a Stop Brexit rally in Bristol on Saturday. 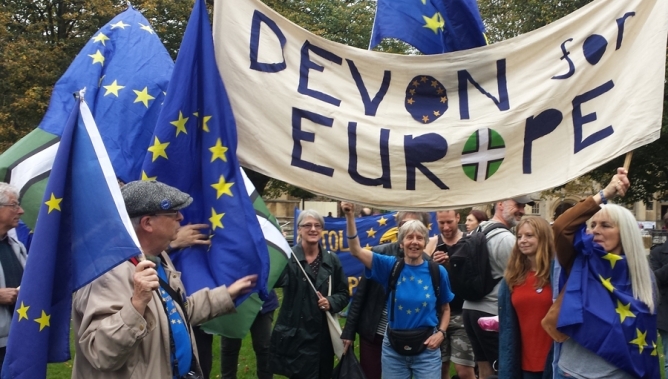 Many not previously involved in politics, but motivated by a deep unease that Brexit could be a tragic act of national self-harm,have joined Devon for Europe, a cross-party campaign group committed to keeping the UK in the EU. The gathering in Bristol brought together similar organisations in the European Region (constituency) of South West England and Gibraltar, while parallel rallies were held in the other UK regions. Speakers at the Bristol rally, including members of all major political parties, highlighted the dangers to jobs, the NHS, scientific research in addition to political isolation and weakness. Many expressed an overwhelming sadness surrounding the growth in intolerance towards migrants and the loss of a community that had brought peace and cultural richness to Europe. Non-UK citizens who had moved to the UK, loved the country and had established families here, said they no longer felt welcome and feared family division. 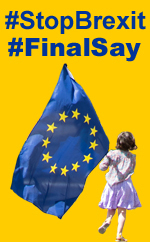 The younger generation’s views were expressed by a 17 year old, angry that having been born in the UK as a citizen of Europe, he had had no say in his change of citizenship, which will limit his ability live elsewhere within the EU, and mix with other Europeans. Julie Girling, one of our MEPs for South West England and Gibraltar, summarised the sentiments of the rally when she argued that it had become clear that the promises of the Leave campaigners in the Referendum cannot be met. Consequently, the mantra that ‘The people have spoken’ no longer had relevance and needed to be replaced with ‘The people want to speak on the deal’.